The women behind Community Barn Ventures believe in the power of community, hard work, and determination, and they strive to help their clients’ dreams become a reality. 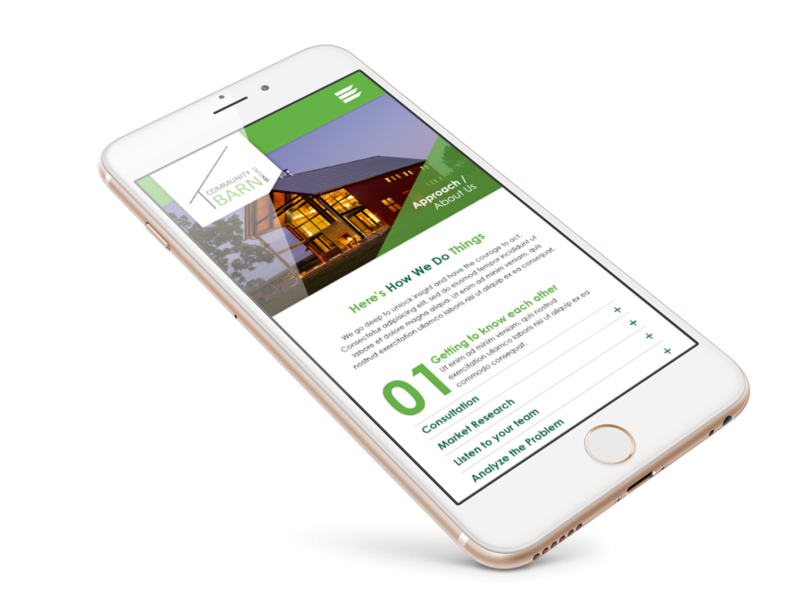 The goal of this launch was to create a clean, modern environment where potential clients can learn what CBV has to offer. In order to highlight the many reasons one should work with them, we kept the color palette to a minimum and used ample white space to avoid distractions. The subtle rustic wood textures throughout the site tie in the community barn and give the site a friendly, creative twist.